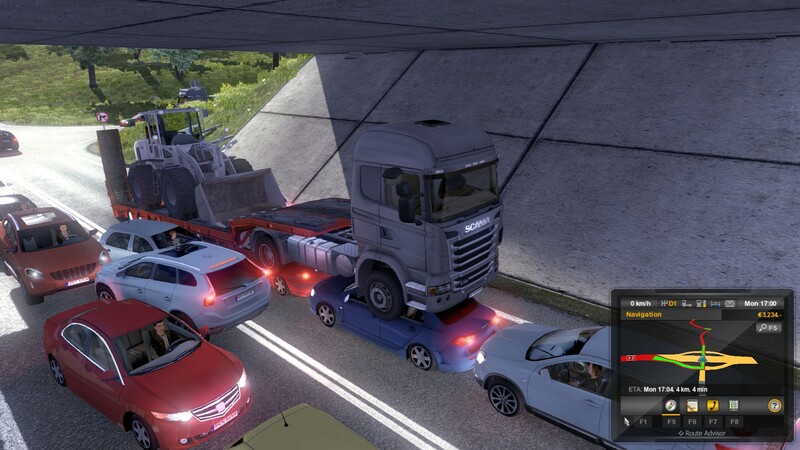 A while ago I picked up Euro Truck Simulator 2 because… well it was on sale so I couldn’t resist. The game overall is decently built, and despite what seems to be a boring premise, the game can be somewhat fun. No, I wasn’t just dicking around, I was actually trying to complete the delivery without traffic violations or damaging my cargo. Suffice it to say truck driver is not a realistic career option in my near future.